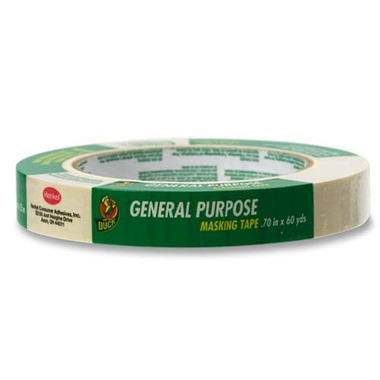 General Purpose Masking Tape is designed for a variety of industrial and household uses. Rubber-based adhesive provides quick tack to a variety of surfaces. Masking tape has good resistance to oil, water and low temperatures. Includes a 3" core.